To buy prints of selected works online, please click this link to access the Michael Earney: Mexican Masks Gallery at FineArt America. This website also offers Michael's artwork on greeting cards, iphone covers, tote bags, duvet covers, and other formats. Use this shopping cart to purchase Michael's work on FineArt America. 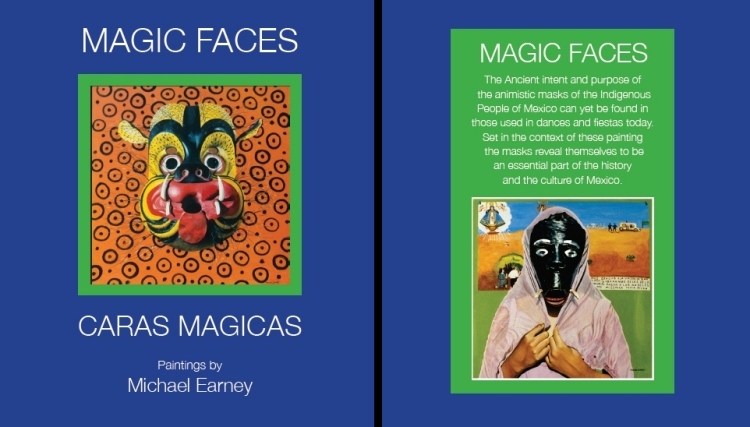 "Magic Faces - Caras Magicas"
"Magic Faces" features over forty paintings and drawing together with comments and information on the paintings and on the masks in English and Spanish. A necessary addition to your library.